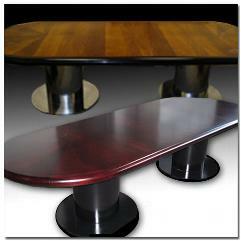 Refinishing your metal can add life to your office furniture. To the right ElectroKote refinished the legs of the conference table. Just the simple change gave it a face-lift for the 21st century.